Car shopping in the Breckenridge area? Look no further than the varied and competitively priced new vehicle inventory at Dakota Chrysler Center. We’re the go-to new Chrysler Wahpeton dealer and new Dodge dealer in greater Breckenridge. Jeep West Fargo drivers and new RAM Fargo truck enthusiasts also make the trip to Dakota Chrysler Center. 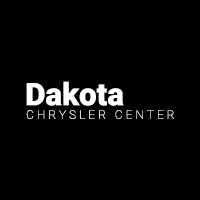 When you’re ready to take your commute to the next level, check out our inventory below, and then keep reading to find out what Dakota Chrysler Center can offer you. 2019 JEEP CHEROKEE LATITUDE PLUS! HEATED SEATS AND STEERING WHEEL! BACK UP CAMERA AND AUTO START!! 2019 JEEP CHEROKEE LATITUDE PLUS!! HEATED SEATS AND STEERING WHEEL!! AUTO START AND BACK UP CAMERA!! 2019 JEEP CHEROKEE LATITUDE PLUS!! HEATED SEATS/HEATED STEERING WHEEL/BACK UP CAMERA/AUTO START AND POWER LIFTGATE!! 2019 CHRYSLER PACIFICA TOURING PLUS! HEATED SEATS AND STEERING WHEEL! SURROUND VIEW/BACK UP CAMERA AND AUTO START! POWER SLIDING DOORS AND POWER LIFTGATE! THE ALL NEW 2018 JEEP WRANGLER SPORT! BACK UP CAMERA/HEATED SEATS AND STEERING WHEEL/AUTO START!! 2019 CHRYSLER PACIFICA TOURING L PLUS!! ADVANCED SAFETY TECH PACKAGE!! LEATHER SEATS! 2019 JEEP GRAND CHEROKEE LIMITED!! HEATED SEATS AND STEERING WHEEL! SAFTEY TECH PACKAGE! 2019 JEEP GRAND CHEROKEE LIMITED! TRAILER TOW PACKAGE!! 2018 JEEP GRAND CHEROKEE LIMITED!! HEATED SEATS/BACK UP CAMERA/ TRAILER TOW!! 2019 JEEP WRANGLER UNLIMITED SPORT!! Why Choose a New Chrysler, Dodge, Jeep, Ram from Dakota Chrysler Center? Our sales team is standing by to get you behind the wheel of the model that best suits your budget and driving needs, and it’s their goal to make the car-buying process that much less stressful.